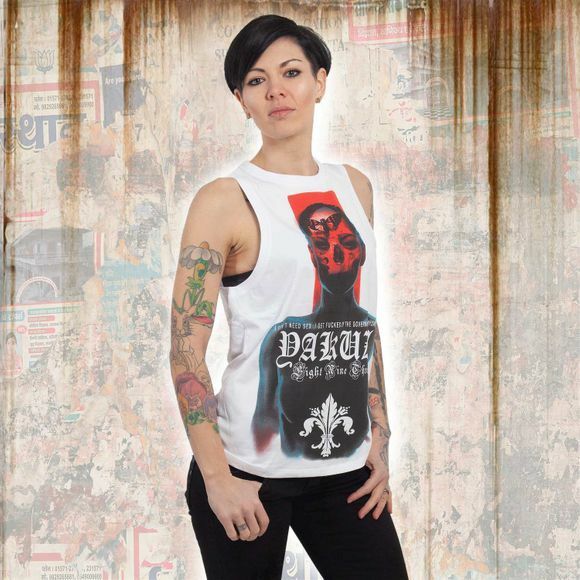 YAKUZA IMPERATOR women's shirt. This lightweight top features three-quarter length sleeves and is finished with a Yakuza logo tab on the hem. Finished with vintage print designs and Yakuza leather tab on side seam. Please watch out for our size specifications and the washing instructions below.